WARN PullzAll 24V is a powerful and lightweight, easy-to-use hand-held electric tool with the ability to lift or lower a load weighing up to 1,000 lbs (455 kg). A powerful motor and speed controller allows you to move heavy objects to the desired place smoothly and accurately. These opportunities allow you to save both time and money. Want to learn more about this great device manufactured by the well-known Warn? Then, hold on reading the review. Weight: 15 lbs (about 6 kg). Wireless version 24 is great for use in the field of self-employment. When the work takes you to more remote places, bring mechanical muscles to portable, wireless PullzAll with you. From tough tasks such as pulling pipes to wire stretching, you will come to rely on PullzAll to get the job done quickly and effortlessly! Is Warn PullzAll the Best Option for Your Needs? PullzAll will help to do any work faster and with less manual labor, and with the use of additional circuits and more productive. PullzAll is designed specifically for builders, owners of private homes, farmers, repairers and other professions where it is necessary to raise, lower or move a cargo weighing 1,000 lbs (455 kg). This makes PullzAll an ideal assistant for working in the factory, in the house, in the garage, in the workshop, in the country, in hunting and fishing, wherever we have to deal with movement or lifting / lowering weights. It has a very important option – wireless control. 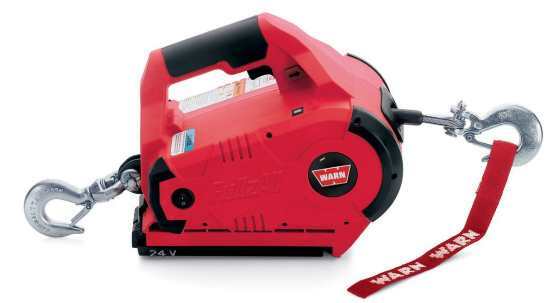 The winch is supplied complete with 2 24V replaceable batteries and a charger. At the construction site, when laying pipes or working with iron, when installing heavy equipment at a factory, on a farm or in a private plot, at a service station or warehouse, at a car dealer or at home, on a hunt or at a camping site – the PullzAll winch with battery is simply beyond competition! 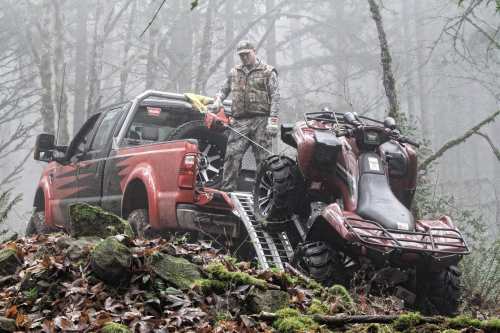 As you can see, this device is really worth paying attention to when choosing a winch. It is multifunctional and can be used for many purposes being the reliable helper that will never let you down. Hope this review will help you to make the right decision concerning PullzAll purchase. Thanks for the informative description of the winch features. I have heard that this winch has already become a real hit in the US but had doubts concerning its purchase because it is not very cheap. Now I think that it is worth its money. 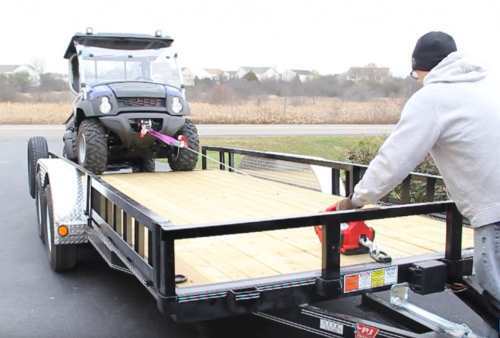 It seems to me that it is the best option for me as I need a winch for various purposes.